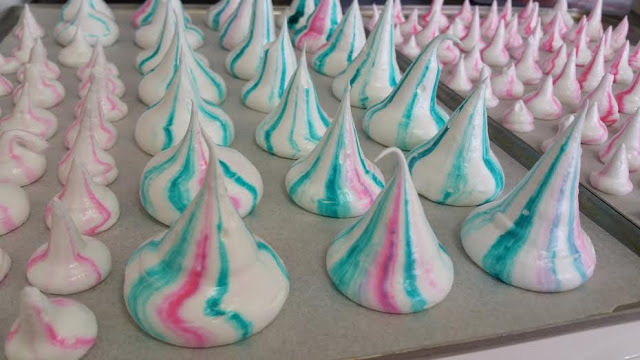 To top my mum’s birthday cake this year, I wanted to do coloured meringue kisses which I’ve seen a lot of cakes decorated with lately! 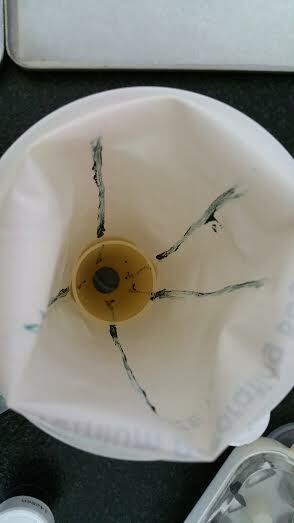 I watched several Youtube videos on how to get the colour through it, but a lot of them overcomplicated things, it really is just as simple as painting inside a piping bag, filling up the bag and piping it as normal, putting more pressure at first to get a thicker base, and reducing the pressure as you lift up vertically to get a thin pointy tip. The first few ones that you make will come out not as perfect, but you will get the hang of it as you keep piping them! 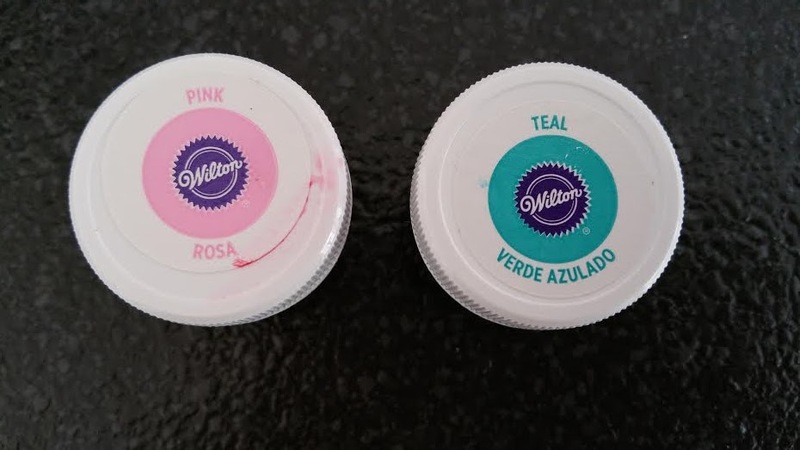 I chose Wilton’s gel food colouring – Pink and Teal colours as I really love the colour combo! 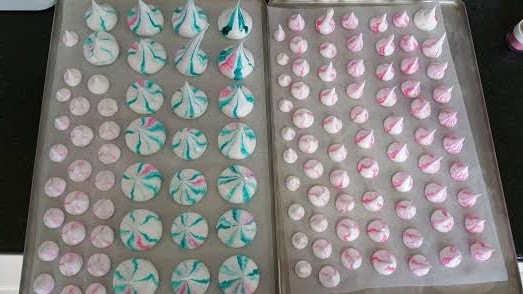 With a clean small paintbrush, I painted a few thin stripes of the food colouring into the piping bag – I used a large round tip for the larger meringue kisses, and a small one for the smaller ones. I then made my meringue with the above recipe. 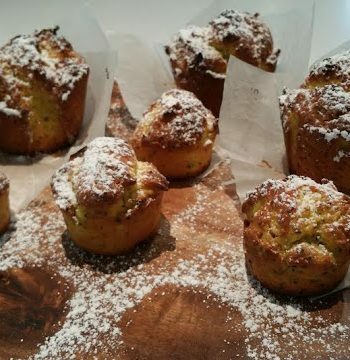 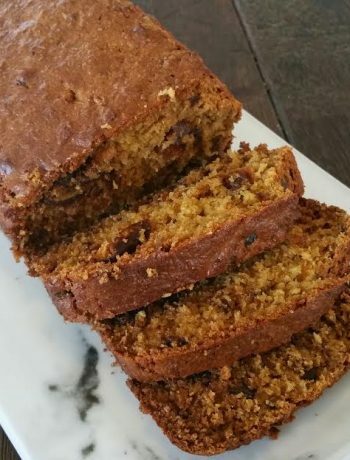 My biggest tip is to use MEDIUM speed the whole way through (I used Speed 6 on my Kitchenaid). 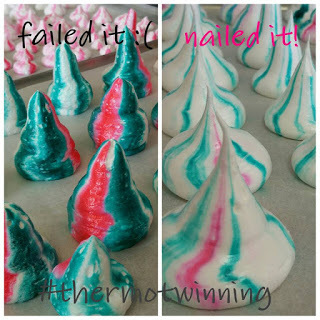 My first try I used a high speed (Speed 9/10) and it was a massive fail, ending up looking like unicorn poop! 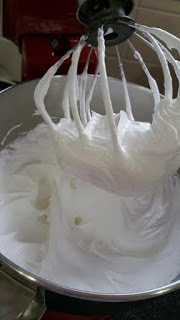 I made the meringue kisses the day before decorating my cake, and it was a very humid day so the meringue’s weren’t as crunchy as they should be. 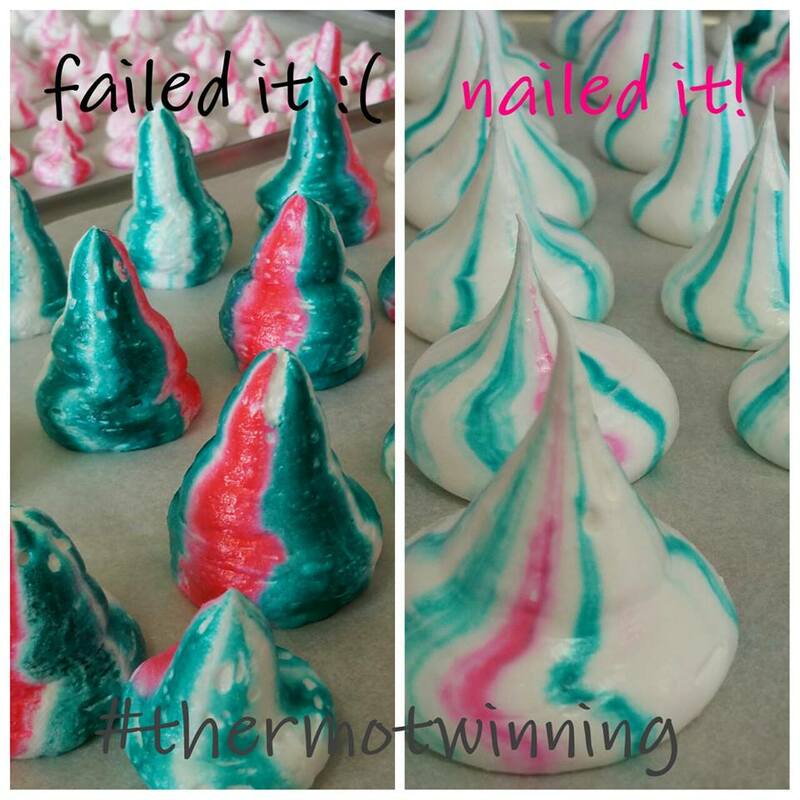 My biggest tip to retain freshness is to place the meringues back in a 90 degree oven (doesn’t need to be preheated) for 30 minutes, and they will came out like they were freshly made with a melt in your mouth crunchiness! 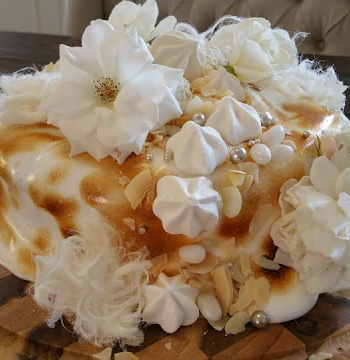 These look beautiful to decorate cakes or cupcakes, to add to the side of desserts, or to eat as a party snack!